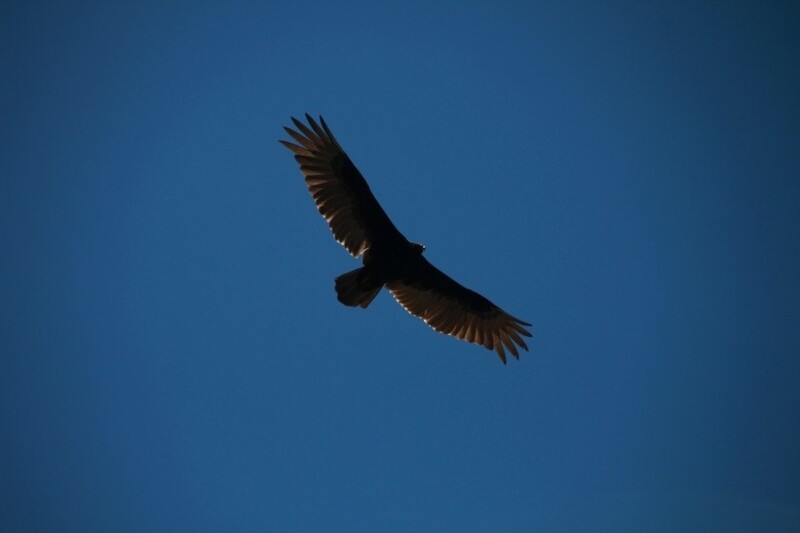 2013-05-05 All day long we saw quite a few turkey vultures circling in the sky above us. This one got close enough for me to get a good picture where he is backlit by the sun. Wichita Mountain Wildlife Refuge, Oklahoma.